The usage of Bitcoin ATMs and vending machines could increase among marijuana dispensaries, predicts Green Rush Review. To solidify its claims, Green Rush Review presented some recent events that involved companies setting up Bitcoin kiosks near the medical marijuana dispensaries in Seattle, Michigan and Colorado area. 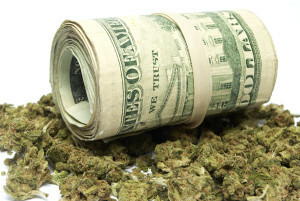 As noted in one of our earlier articles as well, banks indeed are experiencing a conflict when it comes to providing their basic services to cannabis businesses. The “conflict” arises from a Federal Law that lists marijuana in the list of Schedule I drug, therefore putting it in the likeness of drugs like heroin. It simply inspires banks to maintain their business from a multi-billion dollar industry. The medical marijuana dispensaries are therefore at risk, fearing thefts as their returns are mostly saved in cash. Meanwhile, the cannabis industry is expected to rise by 2-3% annually, therefore putting more pressure on small businesses to keep their returns safe. Bitcoin comes as a natural option, as it doesn’t require users to be dependable on centralized authorities when it comes to conducting transactions. There will however be concerns even with Bitcoin thanks to its extreme volatile nature which makes it a risky asset to hold. A renowned payment processing company like BitPay has earlier rejected to be associated with medical marijuana business as well.